Southern Solutions provides quick delivery of printers and low end multifunction printers. Order by 3pm and in many cases, the product will be delivered next day. In most instances, products are delivered within 2 days. 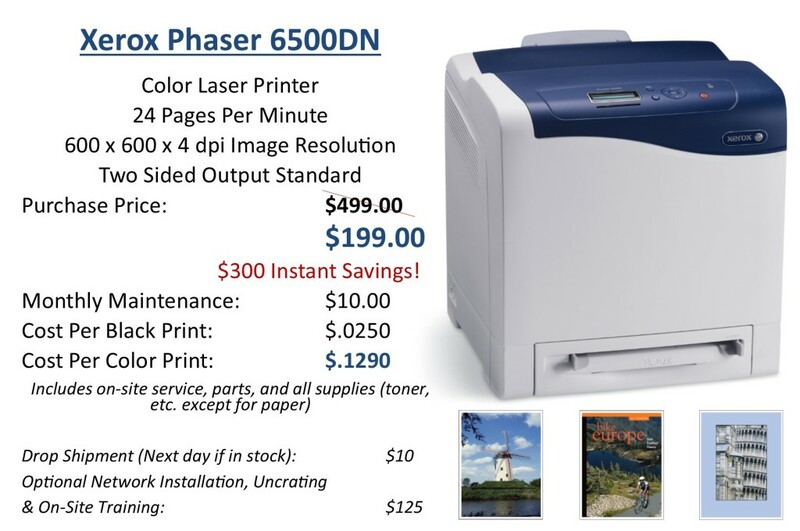 Southern Solutions offers a wide variety or printers and multifunction units starting with the $199 Phaser 6500 color printer (details below). Consider your local Southern Maryland office technology company before going out to a department store or ordering online from a larger distributor. – Next day delivery on many orders and most orders are delivered within 2 days. – Professional installation, network set-up and on-site training. – Affordable maintenance plans that include automatic supply shipments. – You do not have to leave your office! Price Match: If you find a lower equipment price elsewhere, please send it to us and with your equipment and maintenance order, we will price match! Contact us at anytime for more information on our printers and multifunction units.